To the blue sky and ocean! Sunny and mild chimate.. this is what people generally perceived Mediterranean. 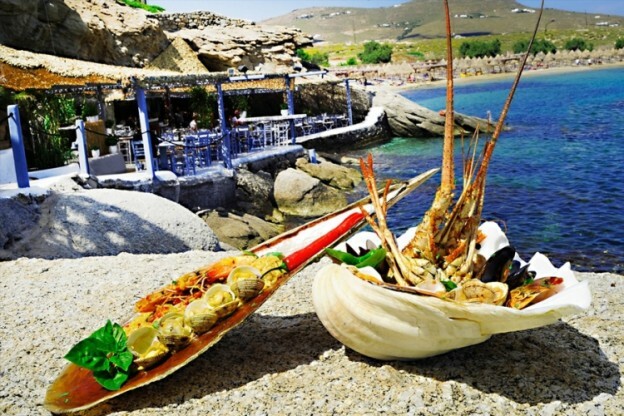 Characterised by the use of olive oil and wine, Mediterranean cuisine is a relatively recent cuisine. Check out these top Mediterranean restaurants in KL and start to get familiar with the cuisine! 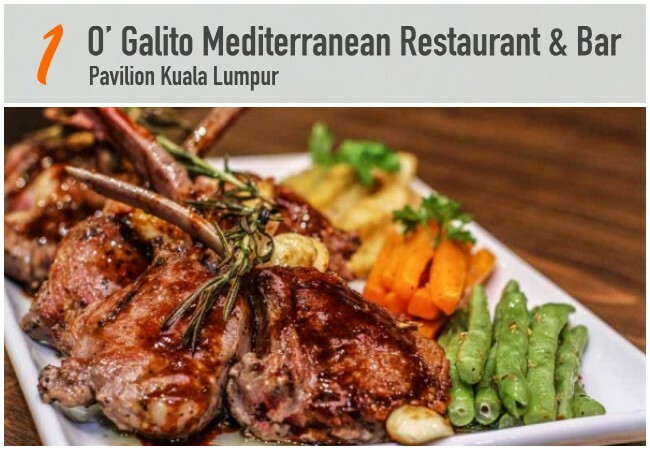 Located at the busy restaurant strip area of Pavilion Kuala Lumpur, O’ Galito Mediterranean Restaurant & Bar presents signature dishes from the likes of Spain, Portugal, Italy, and Greece. On the menu includes Portuguese Chicken Piri-Piri, Italian Linguini with freshly-sourced seafood, tender Braised Beef Cheeks, and Tiramisu. Headed by half Spanish, half Italian Chef Domenico Piras, the restaurant vows to delight patrons with true Mediterranean dishes, with the use of quality imported ingredients and pair with some of the finest brands of spirits in the market. Decorated with heavy Moorish influence of Southern Spain, the inspiration behind La Cucina comes from the warm hospitality of small countryside homes along the beautiful Mediterranean coast, where guests are invited into the kitchen, the “heart” of the house, to become part of the family meal. 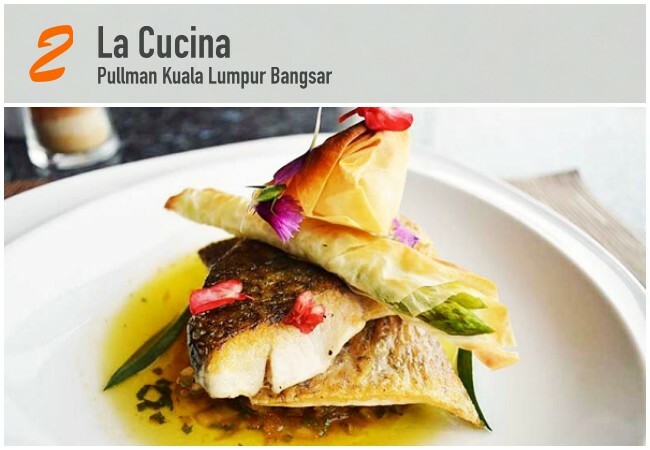 Hence it is no wonder the highlight of La Cucina is the flamboyant cooking suite at the centre of the restaurant where the chef will enthral the guests with his craft, providing a source of enigmatic entertainment for the guests. 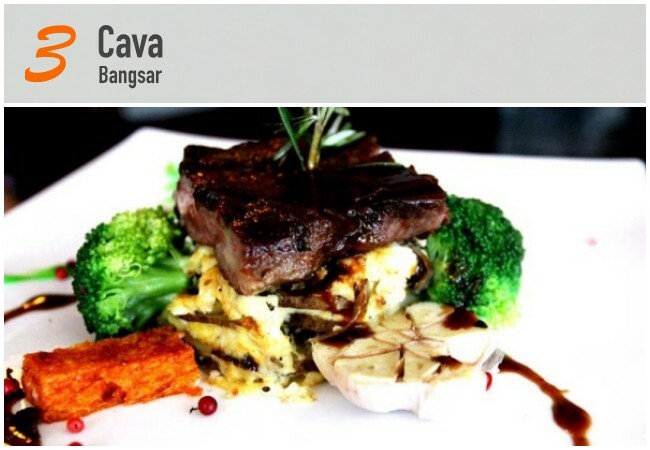 Conveniently located at the quieter part of Bangsar, Cava is the place for authentic Spanish and Mediterranean cuisine. Featuring an amazing variety of Mediterranean favourites that include tapas, paella, and steaks, Cava is the place to come by for lovers of exotic foods made with tomatoes, potatoes, peppers, beans, corn, chocolate and vanilla. Spices that came to the Mediterranean from the New World in particular are specials here. Make sure you get yourself a glass of their famous Sangria during your next visit. 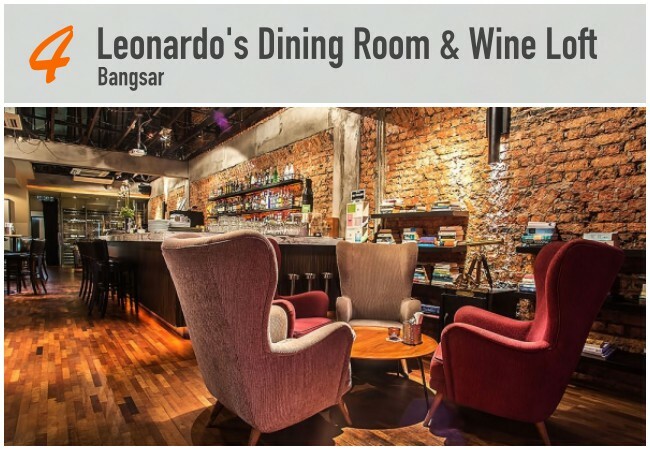 Eclectic and arty, the bare-brick-wall Leonardo’s Dining Room & Wine Loft is inspired by the spirit of the Renaissance that Leonardo Da Vinci epitomised. The central concept behind Leonardo's goes beyond simply good food. On the menu is a wide selection of global dishes including Spanish Iberico Black Pig Shoulder Loin Steak that gives a melt-in-mouth texture while Ranjit's Pasta is widely recommended by patrons too! 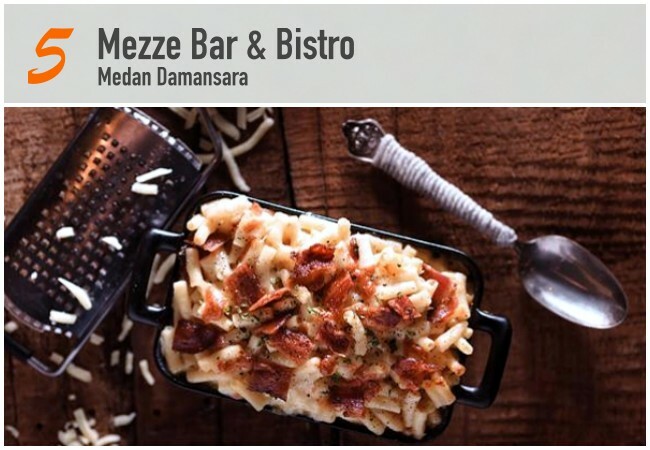 Quietly tucked away from the hustle and bustle of main road, Mezze Bar & Bistro presents fusion dishes with a combination of French, Italian, Greek, Spanish, and North African Mediterranean influences. On Friday and Saturday nights, the cozy venue will make space for a low-key jazz night from 9.30pm onwards. Jazz veterans Michael Veerapen, Rachel Guerzo and Dasha Logan have graced the stage here. Make sure you try their duck liver pate before good music comes alive.